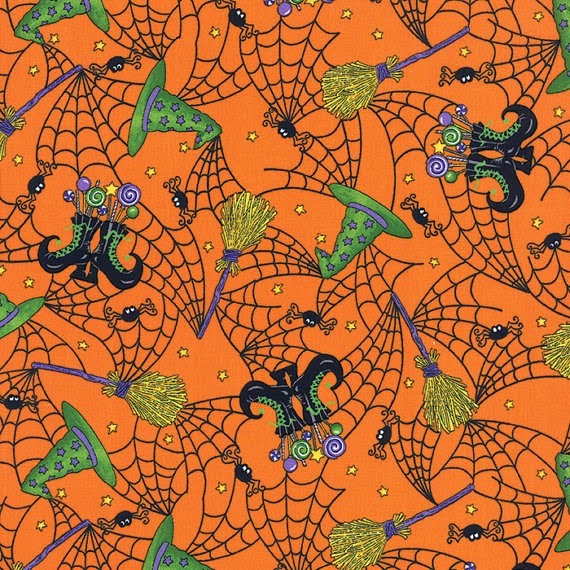 This time of year brings out all the ghost and goblins and why not bring out that spooky fabrics also. If you are needing some last minute fabric to finish off those Halloween projects why not check out the fabrics in these Etsy shops. 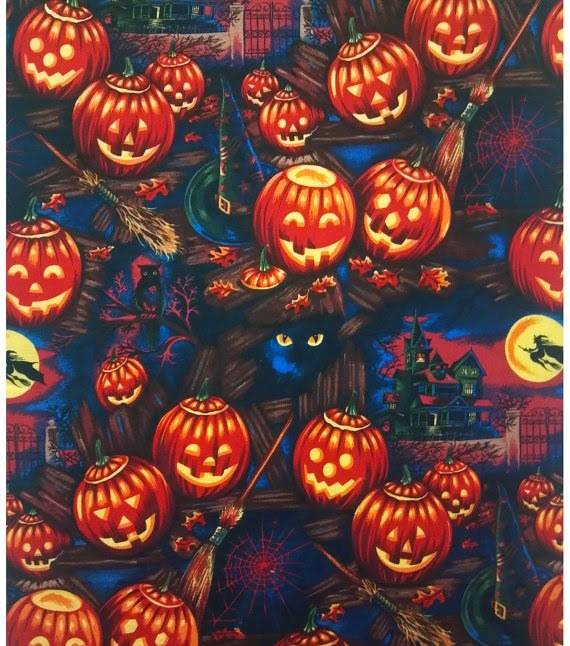 Witches, witches everywhere in this fabric from SimplyQuiltsCrafts. I love all the witches shoes on this fabric. 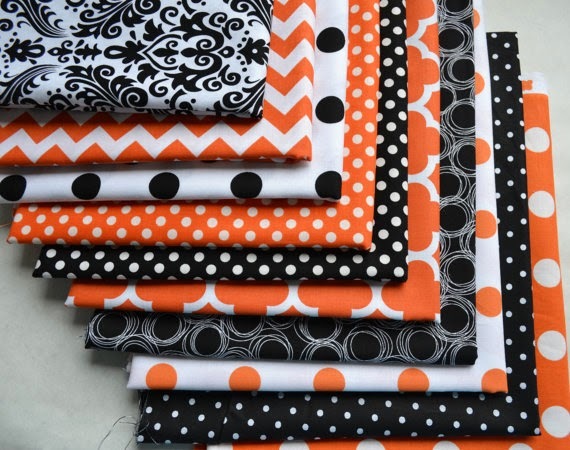 The colors of black and orange are a favorite for making Halloween quilts and crafts and RunnStitch has this wonderful collection of black and orange fabrics. 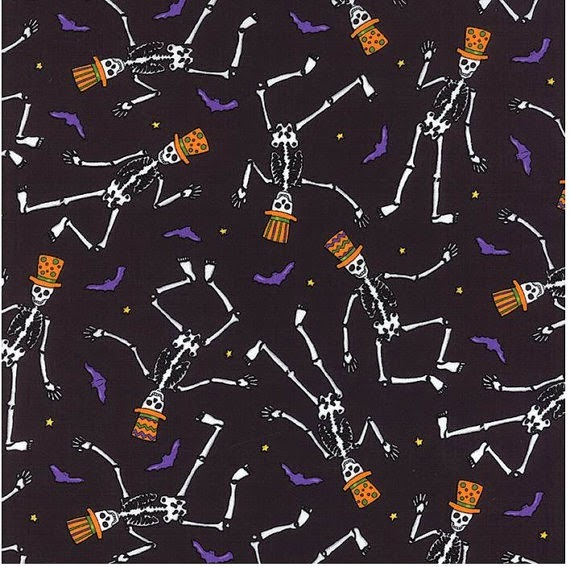 Then there are the spooky skeleton's of Halloween and this fabric from MaggieAnnsFabrics puts a little comical twist to them. So where you are needing just a little more fabric or going to try and get that last project made before Halloween the stores on Etsy have every fabric you can think of. I personally am going to start on Thanksgiving I think. Want to get a few of them done before I jump into Christmas.